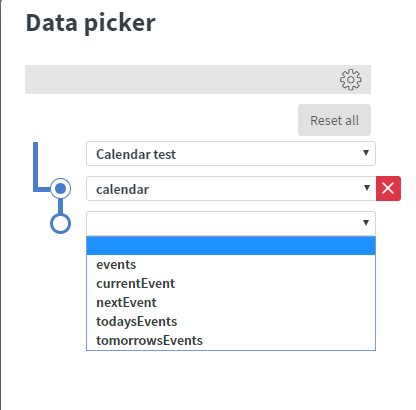 You can create a new calendar by clicking the add button in the bottom right corner. Select the calendar which you wish to share. 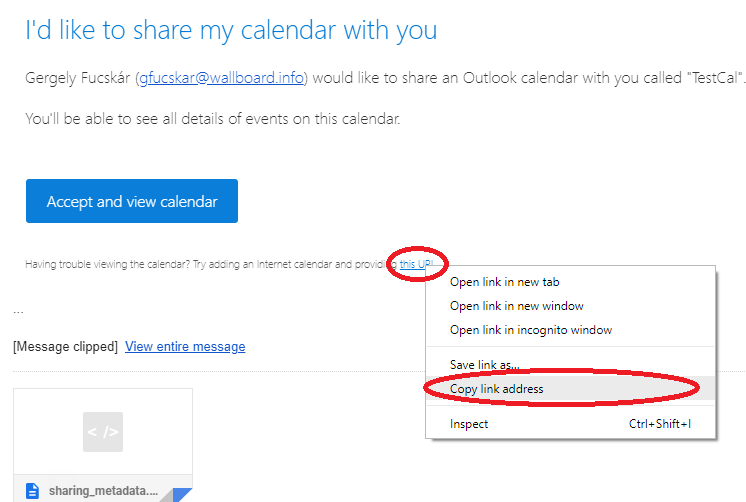 Copy the Public ICal url and use it as your datasource. You can find more information about how to use datasources here. 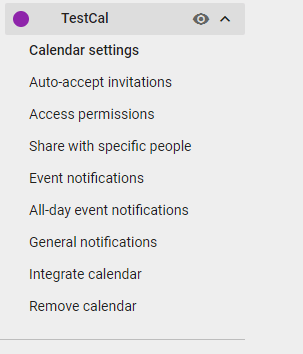 You can add a new calendar with the Add calendar button in the top-right corner. 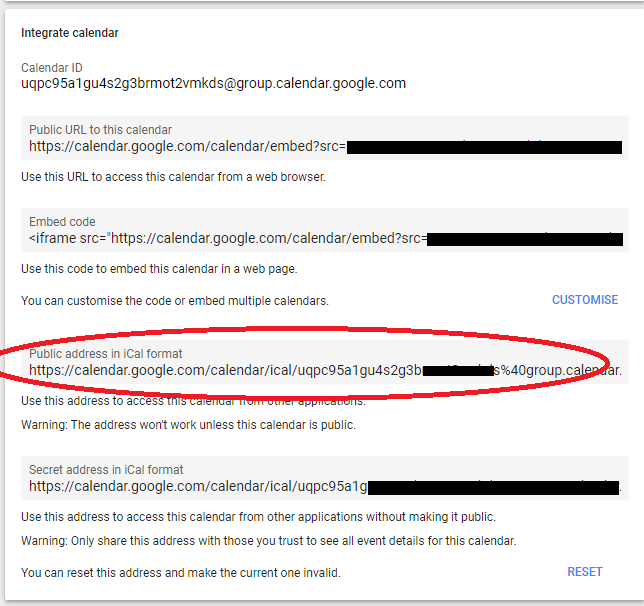 You can share your calendar by right-clicking on it and selecting Sharing permissions. Type in your none-Office365 email address and hit share. You will receive an URL in the e-mail, you can right-click on “This URL” and select copy address. 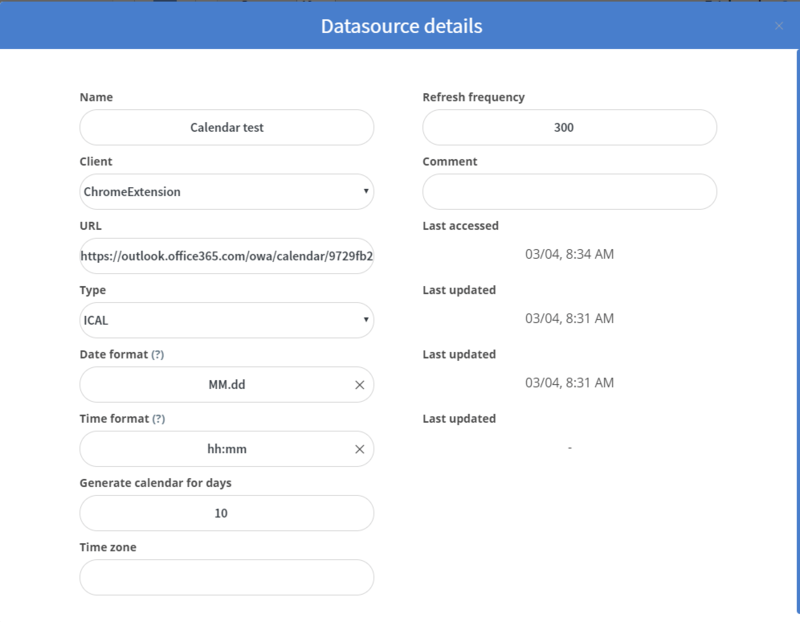 This will provide you the Ical formated information about your calendar. You can preview what’s inside this file here. You can use that URL in our system as your datasource. Add this URL as an Ical type datasource, set how many days do you want to see from now, and the refresh frequency. 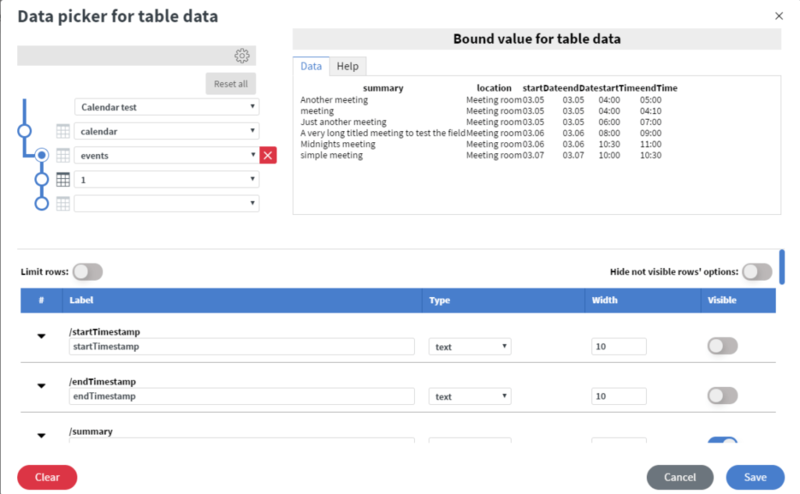 You can display the created data source in your content as a table like this. You also have the option to display only one event or just one property of an event.